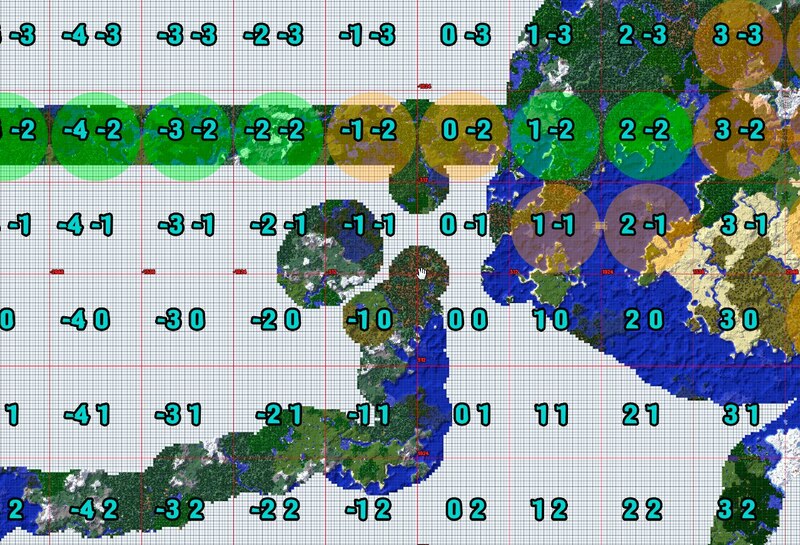 In a manner reminiscent of the feature from ChickenBones' NEI, Chunk Edge Indicator shows the player where the chunk boundaries are. Pressing the F9 key (configurable in the controls menu, under Miscellaneous) will toggle between three states: Off, Corners only, and All. This mod is Client Side only (servers will ignore it if provided). As of Minecraft 1.10 this mod is pretty much obsolete due to the F3+G vanilla functionality. I updated anyway because it was pretty trivial to do. i'm enjoying the pack reminds me of a vanilla bucket server I played on years ago..
Can you add a function to display the boundaries of regions? (Minecraft \ saves \ nameworld \ region). If I'm not mistaken, the side of each region is 512 blocks (squares, of which the world consists). Just use NEI, that's where I got this feature idea from anyway. Not really an issue, but the green lines (block indicators) are a little hard to see sometimes, especially on high resolutions. I actually prefer this to vanilla's chunk border indicator because vanilla's does a 2 block gap instead of 1, and this shows the center of the chunk. Figured I'd point this out, but the "Recent Files" section on the right has 1.10's version of the mod for 1.9. Noticed that after I downloaded it. That's because the 1.10 version is backwards compatible with 1.9. I hadn't really expected to be able to do that when I was naming the files. Does it show the spawn chunk area? 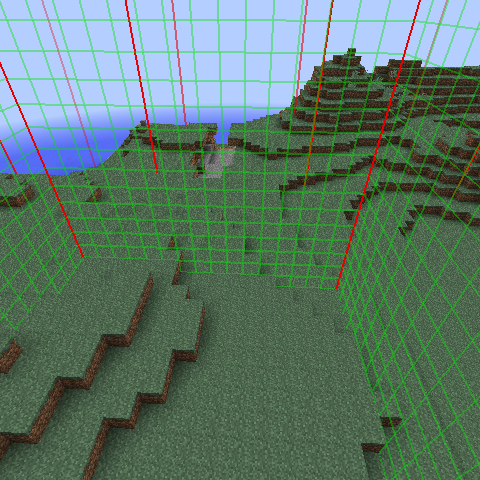 No, it just shows the borders of the chunk the player is in and the corners of the surrounding chunks. can this be used in modpacks or redistributed and under what conditions? Edit: Nvm, found your CC-By-ND-NC license. I can't use it. It is an internet explorer file even tho I use chrome and I put it in the .minecraft (mods) folder? How do i download it and use it?